We act as credit brokers and we are not a lender. †Includes £1,028 Deposit Allowance Paid By Manufacturer. *Excess mileage charge of 8p per mile. If you exceed this annual mileage then excess mileage charges will be applied by the finance provider at the end of the agreement should you choose to return the vehicle. Finance subject to status. A guarantee may be required. Terms and conditions apply. Unless otherwise stated, metallic paint at extra cost. Library image for illustration purposes only. 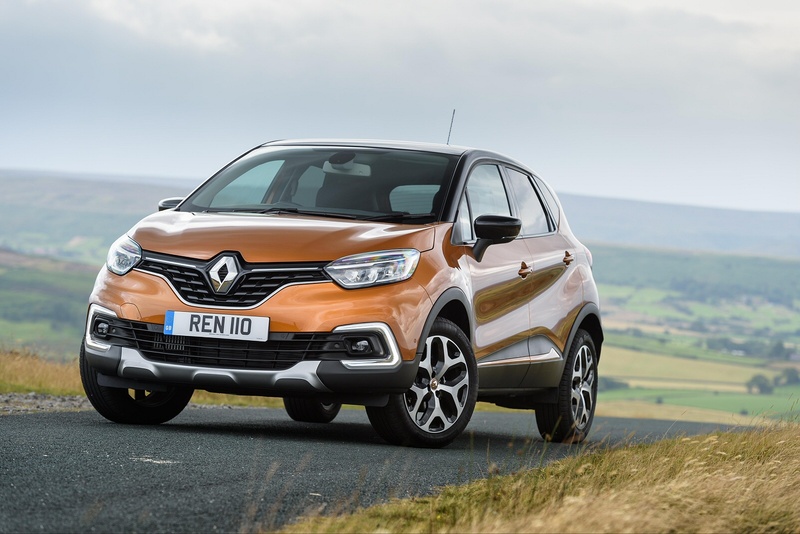 Renault's little Captur Crossover model has proved to be a strong seller for the French company, but since its initial introduction, an army of fresh rivals have been launched to try and eat into its market share. Hence the need for regular updates. A facelifted version arrived in 2017 delivering a smarter look, a classier interior and extra safety technology. In 2018, Renault updated the range structure too. 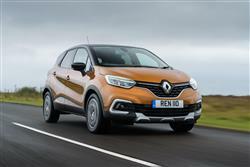 As ever, the Captur will appeal to supermini buyers wanting extra versatility, as well as family hatchback customers in search of something more interesting and affordable. You can't fault the thinking behind the modern Crossover, a class of car that aims to blend the versatility of a people carrying MPV, the attitude of a high-riding SUV and the sharp driving dynamics of a family hatchback. It's a segment that's now divided into a couple of sectors, the larger one typified by cars like Nissan's Qashqai and Peugeot's 3008 and based on Focus-sized models. The real sales growth though, is coming from smaller-sized supermini-based Crossovers, cars that have built on the original success of Nissan's pioneering Juke and are now a hot ticket for almost every mainstream brand. 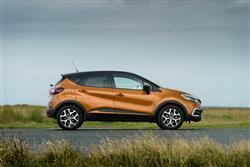 Here's one of the most tempting - Renault's Captur. It's based on the Clio supermini, is priced to sell at the affordable end of this segment and was launched in 2013. 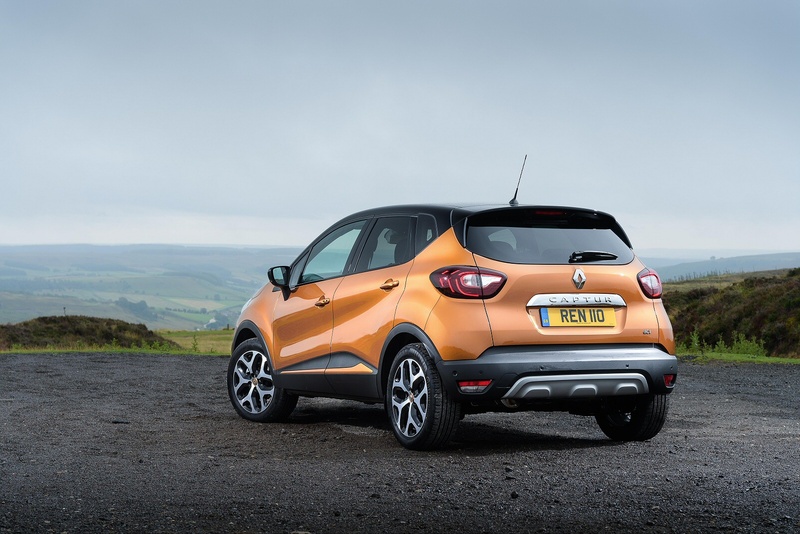 Buyers have liked the Captur's versatility and scope for personalisation, plus efficient running costs and a decently responsive driving experience have also made it popular. 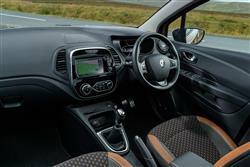 The result has proved to be good enough to make this Renault's second best seller. Can this improved model keep the momentum going? Let's see what's on offer. Nothing's really changed here in terms of either engineering or driving dynamics, but then, nothing really needed to. Set off on your first drive and if you're used to a supermini, the commanding driving position will be welcome - unless you're the kind of enthusiastic owner who realises that with extra ride height, you usually also get extra body roll through the bends. 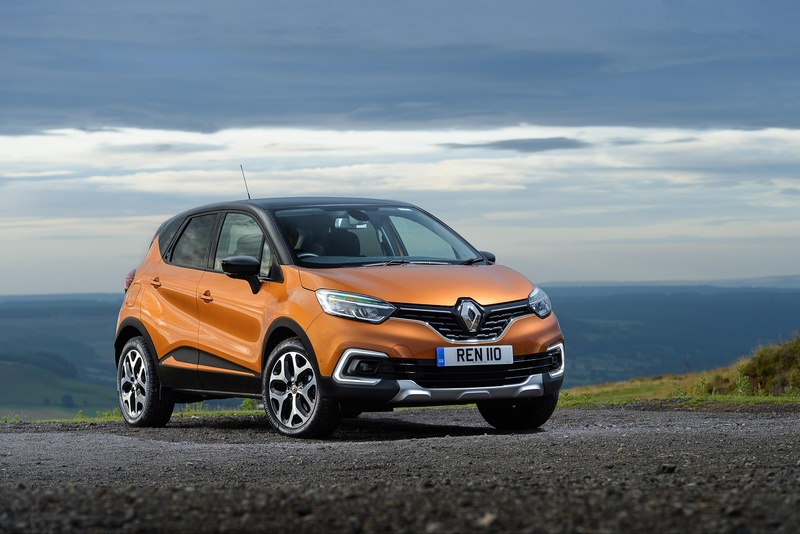 Renault appreciates this too, which is why the Captur features a 'Roll Movement Intervention' system, supposed to stop the body pitching about through sharp corners. 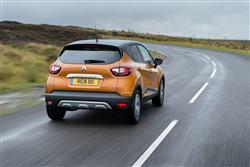 Under the bonnet, almost all Captur owners will find 90hp beneath their right foot. Most will want the dCi 90 diesel, offered with either manual or EDC auto transmission. If you'd rather have petrol power, there's a manual gearbox three cylinder 0.9-litre Tce 90 unit. We'd choose the diesel every time. That Tce engine gives you over 50% less pulling power than the equivalent dCi diesel, so as usual, the black pump version will feel the quicker day-to-day tool. Those requiring something peppier are offered a couple of four cylinder petrol derivatives, the manual Tce 130 and the auto Tce 150. Don't get any designs on off-roading though. There's no 4WD option and there won't be for the platform this car rides upon hasn't been designed to take it. In compensation, there's a decent 170mm of ground clearance. 'Passionate, practical and innovative'. Is that what this is? The answer depends, as usual, upon your point of view. 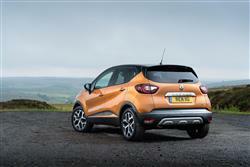 The Captur's certainly an eye-catching thing, especially when specified in contrasting colours. 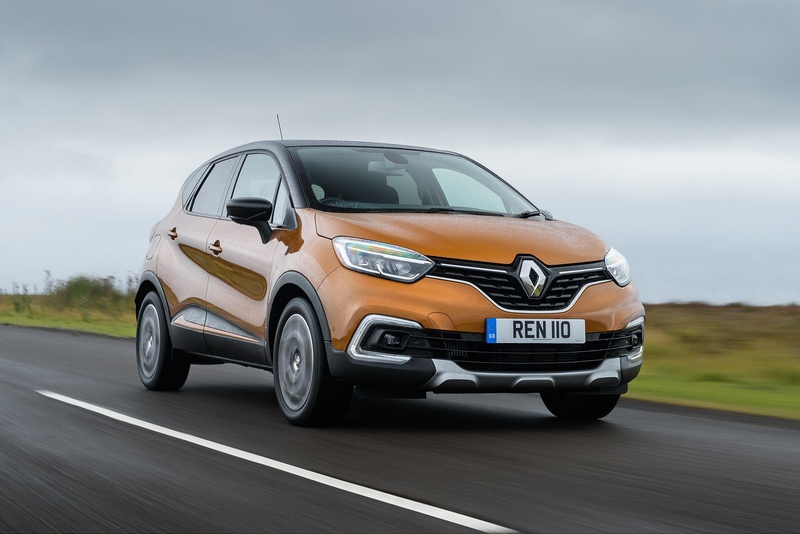 Changes made to the facelifted version include a modified radiator grille that features smarter chrome trim and can be flanked by full-LED 'Pure Vision' front headlights that bring the look of this baby Crossover even closer to that of its larger Kadjar stablemate. At both the front and rear, the bumper incorporates smarter skid plates. The cabin was upgraded as part of the facelift too, benefitting from higher-quality plastics, extra chrome trimming and more comfortable seats. The steering wheel is made from more upmarket materials and, on certain versions, comes trimmed with full-grain leather. The gear lever boasts a more modern appearance, while the door panels have been revised to seamlessly incorporate buttons and controls. 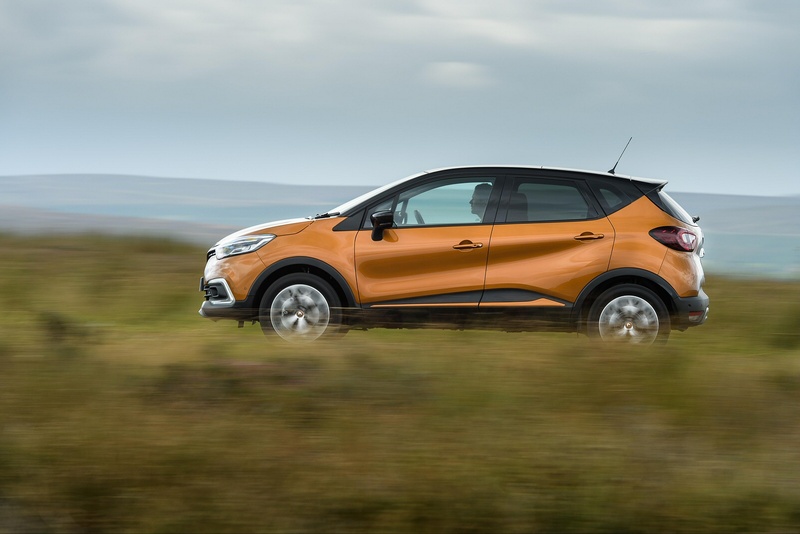 At the same time, the Captur retains its most practical features, including the availability of removable upholstery and the 'Grip Xtend' traction system, depending on trim level. 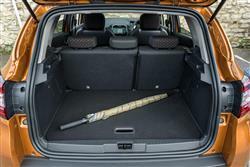 As before, all variants get a pretty unique feature in this class, a sliding rear bench that moves backwards or forwards by up to 160mm (though only as one unit), enabling you to prioritise either legroom or bootspace. 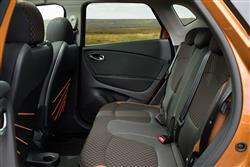 Position the seats to maximise luggage space and cargo capacity rises from 377-litres to 455-litres. 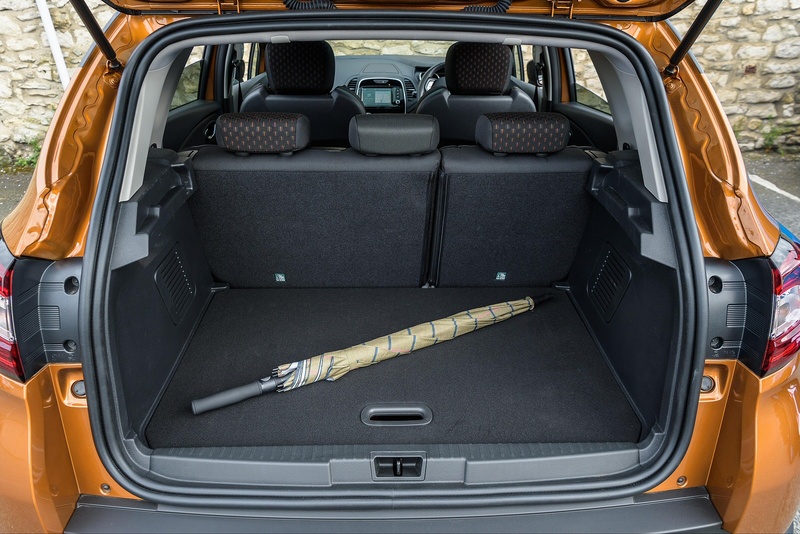 And you get a false boot floor that can be repositioned to suit the height of the load you need to carry and has a wipe-clean reversible flip side. Push forward the 60/40 split-folding rear seat and you'll find that it doesn't quite lie fully flat but in this position, you do get access to 1,234-litres of total fresh air. If you're attracted by the look of this small, trendily-styled little five-door Crossover model, then you'll be pleased to learn that it's one of the most affordable cars of its kind on the market. Prices start at around £15,500 and few variants are bought over £20,000. There are four trim levels - 'Play', 'Iconic', 'S Edition' and 'GT Line'. Three multimedia systems are fitted according to equipment level: R&GO, Media Nav and R-LINK, the latter now compatible with 'Android Auto' for smartphone linking purposes. There's also the option of a desirable 7-speaker BOSE premium audio system. New safety systems include a Blind Spot Warning system that on the move, will stop you from dangerously pulling out to overtake in front of another vehicle. Buyers of higher-end versions can also spcify a 'Hands Free Parking' function that can help you find a space, then automatically steer you into it. Equipment-wise, virtually all models get things like a DAB radio, air conditioning and front foglights. And absolutely all of them get alloy wheels, daytime running lights, cruise control with a speed limiter, a trip computer, a height-adjustable driver's seat, power front windows and mirrors, Bluetooth 'phone compatibility, a decent quality USB and AUX-in-compatible CD stereo with fingertip control, plus Hill Start Assist to stop you from drifting backwards on uphill junctions. The Captur continues to deliver a set of impressively economical running cost figures. Perhaps the most interesting powerplant option is the TCe 90 unit, a three-cylinder 899cc petrol engine that manages to return 45.6mpg on the combined cycle and emits just 122g/km. Go diesel and you'll be looking at 53.3mpg and 110g/km from the dCi 90 engine. Unless you order it in automatic form, in which case the CO2 figure falls to 112g/km. 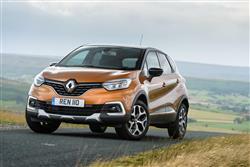 Either way, diesel-powered Captur models offer an improvement of about 10% over the figures returned by rival Nissan Juke or Peugeot 2008 competitors. The returns I've quoted for this car assume that you've activated the 'ECO' mode, accessible via a button on the centre console. This delivers fuel savings of up to 10% by slightly restricting the engine's pulling power, adopting a more efficient control programme for the air conditioning and heating systems and, in the case of EDC automatic models, switching to more efficient gearchange software mapping. I should also tell you about residual values, not traditionally a Renault strongpoint. Independent experts CAP reckon that after three years or 60,000 miles, a Captur will still be worth between 41 to 43% of what you paid for it. 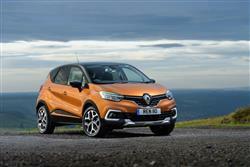 If you�re looking for a new Renault Captur 1.5 dCi 90 Iconic 5dr Diesel Hatchback for sale, you�ve come to the right place. At Bristol Street Motors we don�t just have the best Renault Captur 1.5 dCi 90 Iconic 5dr Diesel Hatchback deals, we also offer friendly advice and help with all your enquiries to ensure your buying experience is a happy experience.